That PhD candidates fail to graduate on time in large numbers across a number of countries is a well-known fact. An extreme example is Estonia, where according to some estimates less than a third of PhD students complete their studies on time. A number of studies have addressed the likely reasons for such behavior, both comparatively and country-specifically, but empirical evidence is controversial and scant. To remedy the situation, we use the population data of Estonian doctoral students in order to explain the abysmal success rate. Findings suggest that student’s age and academic leave increase the probability to drop out. Contrary to the expectations, we find no evidence that drop out rates cluster around certain fields of studies. 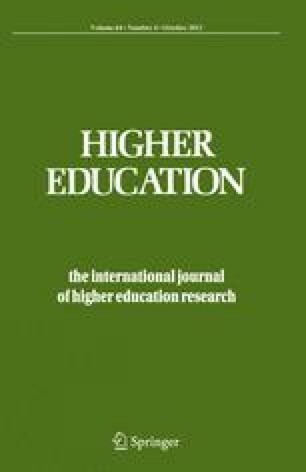 Furthermore, we argue that structural reasons supersede individual causes of failure and therefore instead of increasing the number of PhD positions to meet the demands of the labor market, the policy must incentivize doctoral candidates to stay fully engaged in their studies and subsequently graduate within nominal time limits. Our findings have profound implications regarding the higher education policy. We wish to thank Rune Andersen, Piret Ehin, Kristian N. Nielsen, Marko Mölder, Vello Pettai, Pille Pruulmann-Vengerfeldt, Karsten Staehr and Eve Tõnisson for their valuable comments on the earlier drafts of the manuscript. All remaining errors are ours. Kraut, L. (2005). Kõrghariduse omandanute ja õpingud katkestanute võrdlus töötasult laekunud tulumaksu põhjal. Poliitikauuringute keskus PRAXIS. Available at: http://www.hm.ee/index.php?048183. Accessed April 13 2011. Riigikantselei (2011). Valitsuse poliitikate arendamise peamised väljakutsed. Raport. http://bit.ly/i7QSuq. Accessed April 8 2011. State Gazette (2006). Eesti kõrgharidusstrateegia aastateks 2006-2015 heakskiitmine. Available at: http://www.riigiteataja.ee/akt/12752949. Accessed April 14 2011.